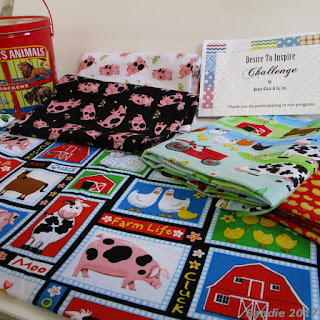 Henry Glass Fabrics: December's Desire to Inspire Challenger Shows Off "Farm Life"
December's Desire to Inspire Challenger Shows Off "Farm Life"
Oh I had so much fun with this!! 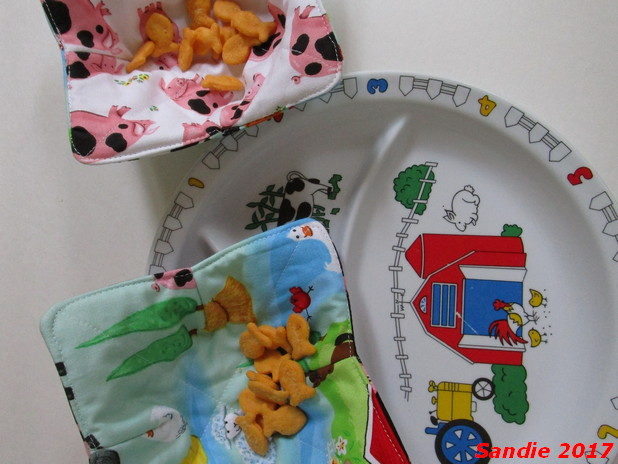 I drew an image of the barn on freezer paper from the barn on the fabric for the snack mats. Thank you so much for this opportunity! I enjoyed every minute behind my machine and dreaming about what to make. I know this is a very busy time of year-- I did oodles of Christmas sewing, but I often found myself playing around with these cute fabrics instead of doing the projects I should have finished. LOL Luckily I did get everything done I planned to do. 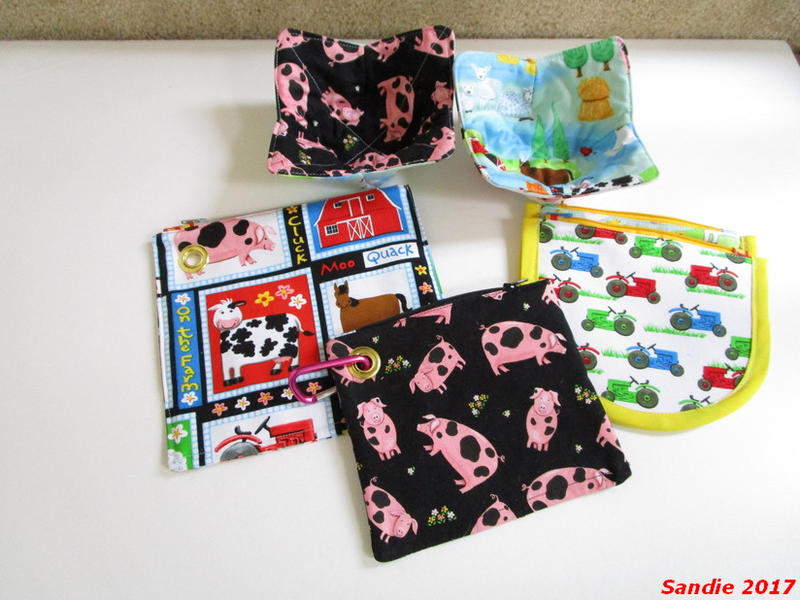 I will be posting my Christmas sewing on my blog as time permits. 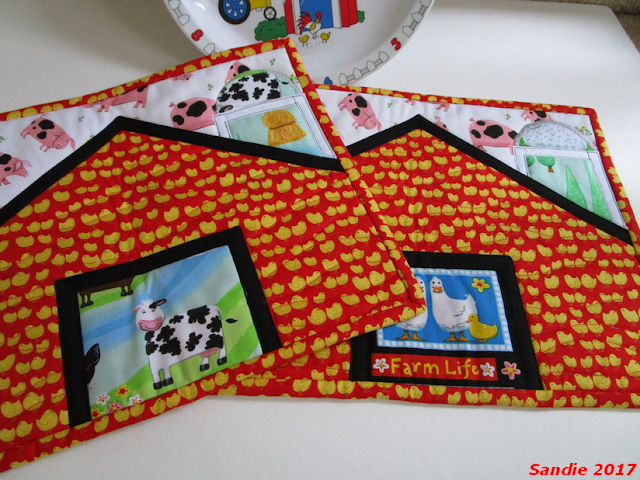 I love what Sandie has done with these fabrics, so cute! 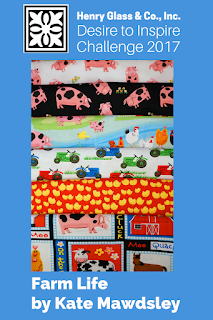 These projects look like sew much fun! Awesome job Sandie! 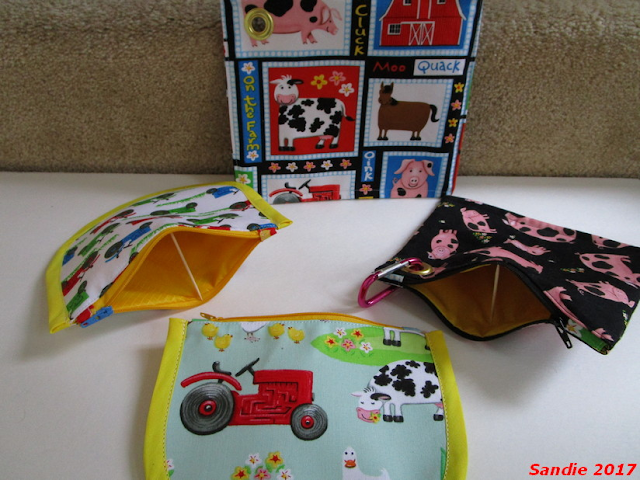 So very cute Sandie - I loved the fabric as soon as I saw it but am totally in love with what you did with it! Love all the fun projects that Sandie did. How fun! Everything looks great. 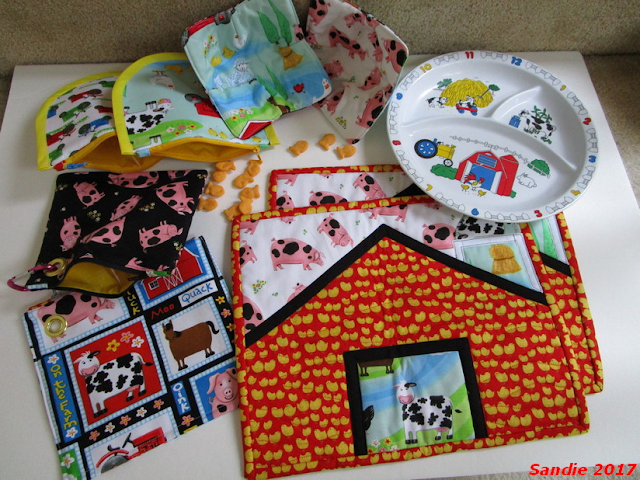 When I saw the fabrics Sandie received I was perplexed as to what I would do with them. Sandie came up with the perfect solution. 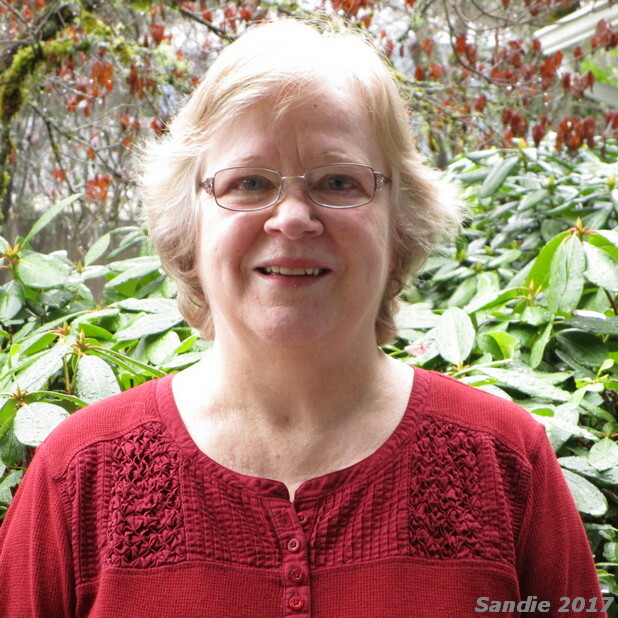 You're so talented and creative, Sandie. GREAT JOB! These projects turned out so cute! And very usable, too! I am a bit late taking a look at all of the fun projects Sandie made from this great fabric. Great ideas, so creative. Welcome to the Henry Glass & Co., Inc. blog! We will feature exciting news, pictures and ideas to help you be inspired with quilting! Come back often! 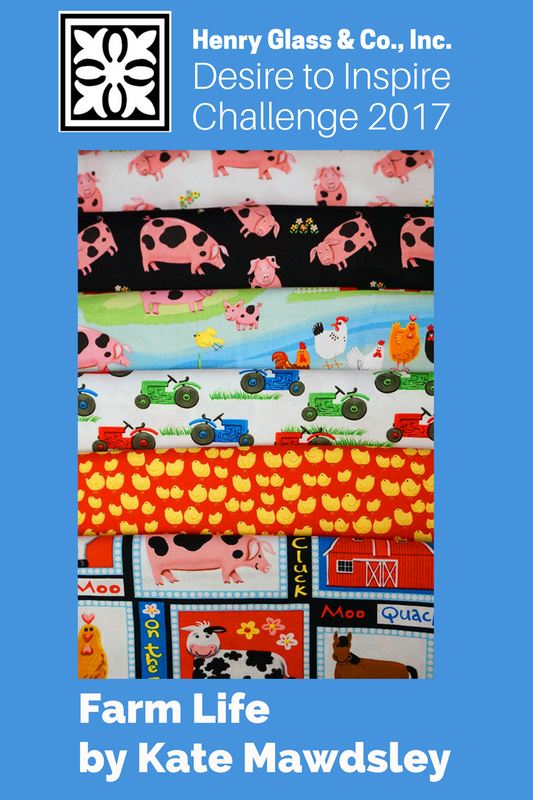 Let's Get Quilting says Happy New Year!